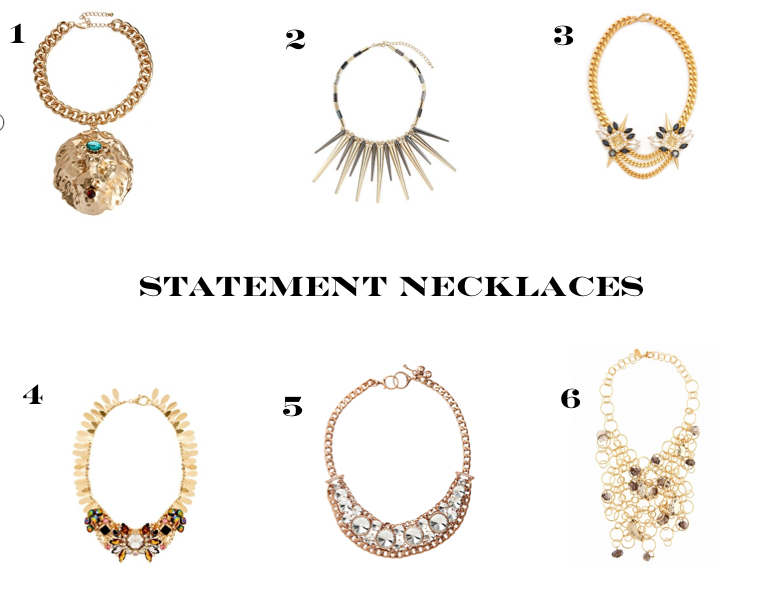 Here are few statement necklaces I'm loving. I love the strong chains, paired with color, and sparkle. p.s. All my Northeast readers, stay safe during Hurricane Sandy!